Lately I see Ayam Penyet had been favourite dishes among Malaysians. So this time once again I brought to you another Ayam Penyet Restaurants. 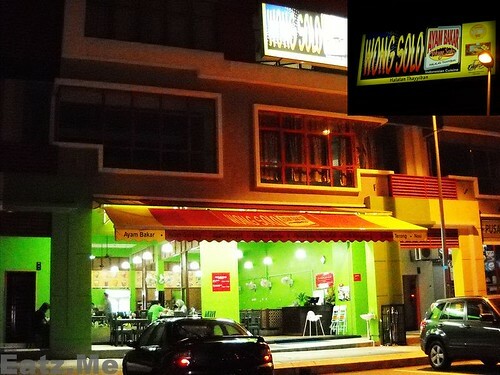 This time the restaurant located at USJ 9 Taipan Business Centre. Before this, I had reviewed some good Ayam Penyet restaurant, you may refer to the related post below. Anyway, for this restaurant, I think it was quite okay to try. It was quite far I think from my location. Surabaya Food Trip – Day 3 (Final Day). For those who had lost on what am I talking about you may read my 1st and 2nd Post on Surabaya Food Travelling. Ok, lets go for the food travel story. For the third day we only manage to go for one restaurant only because for breakfast and dinner, we eat at the hotel. Okay, for our lunch, we go to Javana Ikan Bakar and Seafood. The location is at Jalan Sulawesi, Surabaya. Details on location will be mention below. About this restaurant food, I thinks it’s nice~More to Chinese style of food. I even saw some Indonesian Chinese groups eating here.=) Yet, you must not worry on the halal status of the food, our tourist guide guaranteed on this. So, in the previous post, I had already show you on our first day of the trip to Surabaya. On our second day, we had some journey outside Surabaya main city, to the Apple farm at mount-what-i-not sure,=_=”. I’m so shocked that Indonesia had apple and orange farm you know. Anyway, the journey of food is getting interesting. Our tourist guide said eating Bakso at the top of the mountain feels great. We tried it, and it really does. yup, when you eat hot food in cozy, windy weather, it feels good you know. But unfortunately I forget to get some picture. Because I was busy eating. Because I was busy taking the panorama image from the mountain. However there are many small stalls selling Bakso there or you may eat it inside the Apple farm, they have restaurant there. Anyway, I should just proceed with our lunch and Dinner for second day. There was no breakfast because as I said in my first day post, our breakfast is provided by the hotel, so nothing specials there. Ayam Penyet RM4.50 @ Seksyen 2, Shah Alam. Okay, before I post on my second day food trip to Surabaya Indonesia, I just want to make short post of one more good and cheap Ayam Penyet restaurant in Shah Alam. Ayam Penyet in Shah Alam is getting famous. A lot of Ayam Penyet restaurant had opened here recently. 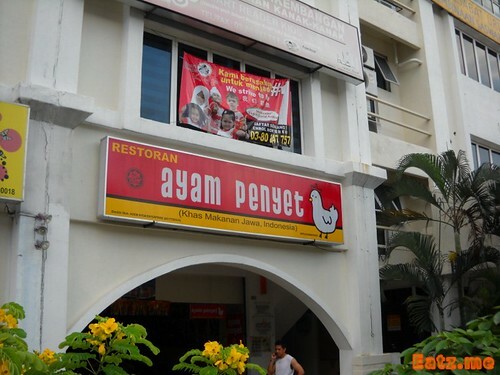 For example there are Ayam Penyet-AP Shah Alam Branch. 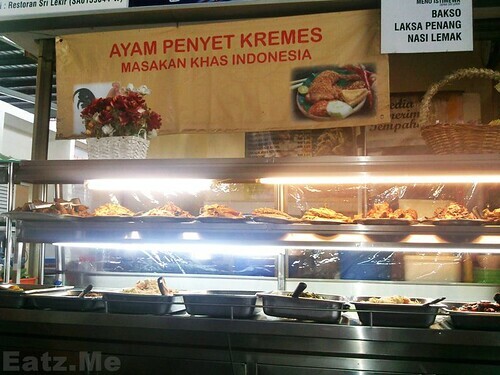 But my post here is not about Ayam Penyet-AP, it was just a small stall at Prima Dua Food Court. If you remember, I had previously made some reviewed on the stall at Prima Dua food court. Yeah, that place was a very famous eating spot for UiTM student. To avoid the crowd, if possible, please don’t come here during a peak time like lunch or at Dusk (from 6pm till 7pm) time. Seksyen 2 are very pack during that time. Because at that time students had just finished their classes, so they are going to have a meal. and don’t come after 10pm because I think they will be closing. or in English Smashed chicken RM 5 @ Padang Jawa, Selangor. Wow!! I really was firstly amazed with this restaurant. Didn’t expect that such place could have such a nice restaurant. 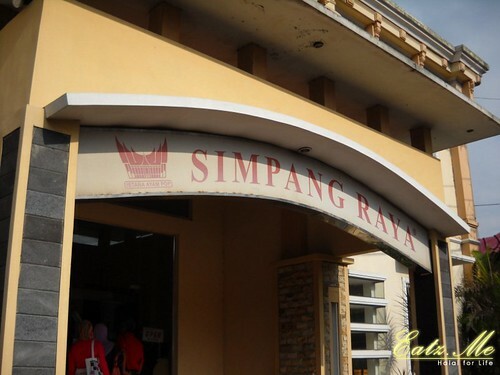 Ayam Penyet – AP and Restoran Simpang Tiga, Ipoh that served Indonesia food. So, why I said that I’m not expecting such restaurant in that place before? Because the place can be said quite isolated from town. It’s called Kampung Padang Jawa. This place is mostly occupied by the squatters. However, don’t judge the place by the words I said, you need to come first and see it. The restaurant condition is good. Well, the food is good. What most important that it is Halal as all the workers and owner are Muslim and they are Indonesian. But the sambal is quite different from other Ayam Penyet restaurants such as Ayam Penyet – AP, Restoran Ayam Penyet or Ayam Penyet Ria. I think it taste like shrimp paste had been put. Just to warn you who had sinus problem, you may allergy for this. The environment is nice, averagely clean. Price is good compared to others ie. 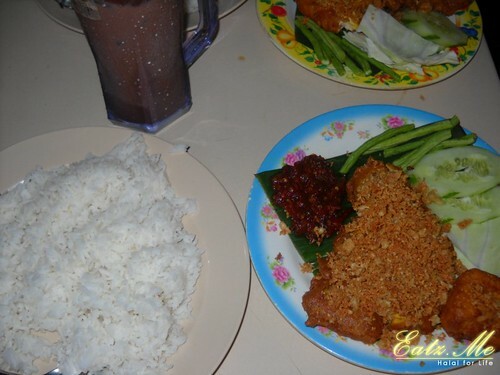 Ayam Penyet – AP or Ayam Penyet Ria. The price will be given below. Anyway, overall gave 3 stars for them. The service is quite slow when many people around. Its open from 9 to late night. All the time the Ayam Penyet were be available. Ayam Penyet @ Ayam Penyet – AP, SS15/4 Subang Jaya. or in English Smashed Chicken @ Ayam Penyet – AP. Yeah, before this I had reviewed one famous Indonesian food restaurant in Ipoh, Perak here. This time I want to review other Indonesian famous food which is known as Ayam Penyet or Smashed Chicken. I’m not sure about the origin of the food in Indonesia, but what I know the food is good and it was available in Malaysia. But there are various restaurant that serve it as their speciality like this Ayam Penyet – AP Restaurant, Waroeng Penyet, Ayam Penyet Ria, Restaurant Ayam Penyet, etc and I will review the others later. Ok, lets go straight to the point, what is best about the Ayam Penyet? To me, I like it because of the contour of the chicken is very soft and light. I like the sambal also although it was very hot and spicy. Based on my knowledge, the chicken had been smashed first before being cook. That cause the meat to be very soft.